I am a friendly and experienced teacher. 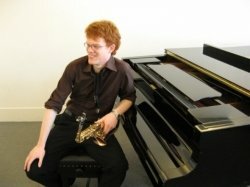 Whether you are looking to take up an instrument as a hobby, you wish to progress through the grade systems or are looking to learn an instrument later on in life I’d be delighted to help! My teaching is always geared to each individual student. Wether young or old, playing for fun, keen to progress through the grade system or looking to study music at university or conservatoire I'll taylor my approach to ensure your success.